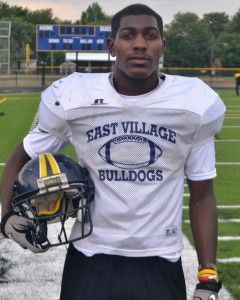 Desmond King made the offer and sealed the deal last Friday in East English Village’s 34-26 victory against King. 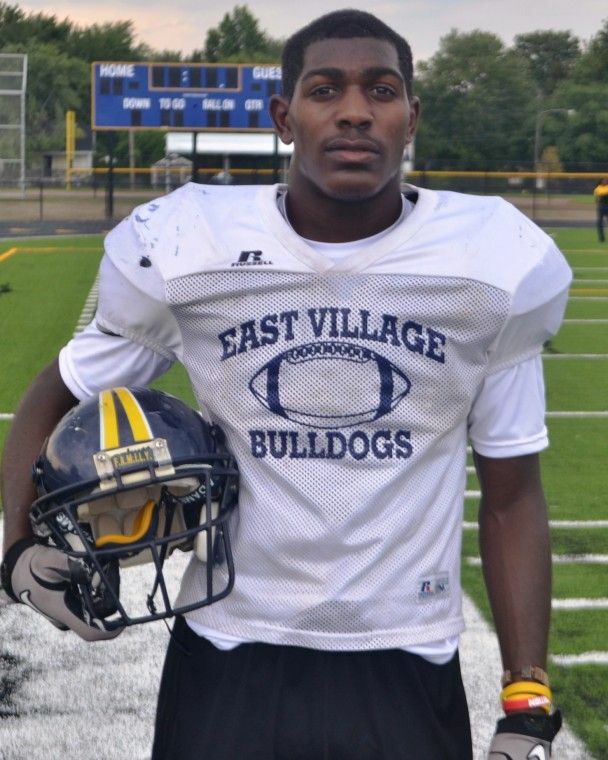 As a result of carrying the ball 29 times for 225 yards and a touchdown, and returning an interception 75 yards in the waning :55 seconds for the clinching TD, the Bulldogs’ 6-0, 185-pound senior has been named the Detroit Public School League Proud Strong Learner of the Week. King, in his third year as a starting defensive back and first as a starting running back, is one of 20 returning fourth-year varsity players from the Crockett team that won last year’s PSL Division I crown in the school’s final season. The closing of Crockett and Finney High culminated with the opening of East English Village, which hopes to build on Crockett’s success under the same coaching staff. Spoken in the fashion of a team co-captain, King shares credit for what he describes as “one of the best games” in his high school career.